It’s called an ‘omafiets’, which translates as ‘grandma bike’, and this affectionate title is really quite justified; with its classic design, steel frame, reinforced wheels, heavy-duty rack, full-length mudguards, and upright riding position, it won’t exactly win you any races. What we Brits need to appreciate, however, is that this needn’t be considered a problem. Commuting bikes in the UK have been taking British cyclists in a strange and questionable direction for some years now, and a lot of us (myself included) have been taken along for a ride. I grew up cycling in London and generally went along with everyone else; buying and using the sort of stuff that was sold in the bike shops. 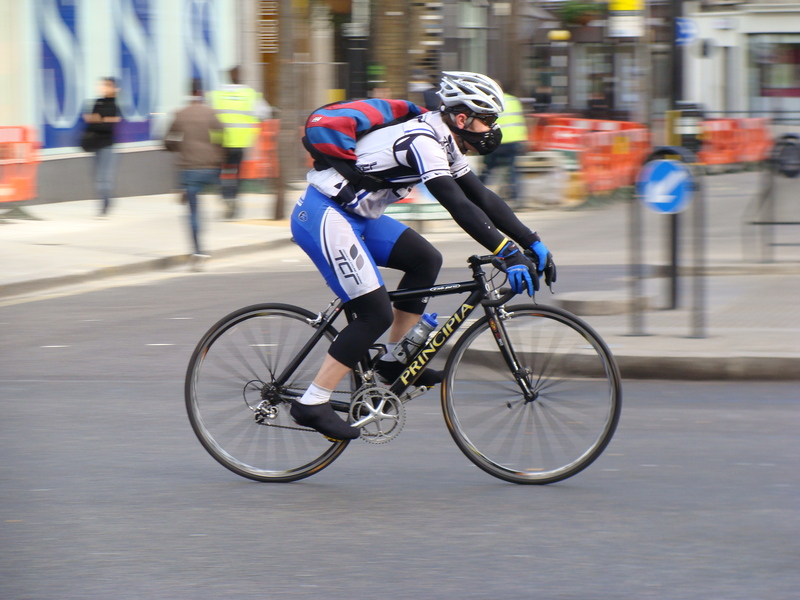 What I didn’t know, however, is that urban cycling on the Continent is significantly different from cycling in the UK, and in this post I want to focus on some of the differences in the actual bikes that people use for day-to-day riding. Not to pick on Specialized, but the Sirrus is just one of many bikes to exemplify the myriad problems associated with urban hybrids this side of the channel. The first thing to notice is that this picture shows the bike as it would be purchased – you will note that it is pretty naked compared to the omafiets above; it doesn’t, for instance, come with lights, mudguards, a rack, fat + puncture proof tyres, a chain guard, a stand, or even a lock. Sure, you can buy these things as extras, but since they are practical necessities for everyday cycling, wouldn’t it be reasonable to expect them to be incorporated into the initial design from the start? For one thing, the cost of buying these ‘extras’ in addition to the initial outlay for the bike can serve as a significant psychological barrier to cycling as people get turned off as costs begin to mount up. Alternatively, what a lot of people do – and I admit to being guilty of this myself – is spend as much as they can on the bike and then skimp on the ‘extras’. This money-saving tactic turns out to be a false economy as some choose to forego mudguards (SKS Chromoplastics RRP ~ £30) and suffer every time it rains; some forego a rack (Topeak Super Tourist RRP ~ £35) and ride instead with a heavy backpack; some forego lights (CatEye EL130/TL135 RRP ~ £27) and get reprimanded by the police; and some forego a decent lock (Kryptonite Evolution Mini RRP ~ £30) and well… you can guess what happens to them. Another thing to note is that a typical commuting bike in the UK takes many design cues from racing bikes. OK, the riding position may not demand the full-on flexibility of a yogi (as some TT bikes require), but it is still an aggressive, sporty, and for many, quite uncomfortable position to sit in. This stands in stark contrast to the more relaxed and stately ‘sit-up-and-beg’ riding style of your typical Dutch bike – a position developed by the Victorians to make cycling as civilised as possible. Quick-release wheels are another design feature from the world of racing that has trickled down and contaminated commuter components. For sure, being able to remove your wheel faster than you can sneeze is a great feature if you are in a race and are being followed by a support car with spares ready to swap over. Not so useful, however, if you want to lock your bike up in any major city – for commuter bikes at least, the ability to remove your wheel without tools becomes nothing but an inconvenience as it requires you to carry an extra lock or risk the theft of your wheels every time you park up outside. Equip a decent set of tyres (like a Schwalbe Marathons, for example) and you won’t have to worry about punctures. If you do this then you won’t need to remove your wheels very often and so you can afford to have proper wheel-nuts and an altogether more secure set of wheels. Do you reckon he’s in the middle of a race? Or perhaps the victim of another quick-release nightmare? Even the mighty D-lock is powerless to stop this common crime. The same goes for quick-release seatposts as well – they simply aren’t suited to the urban environment and neither are they necessary. 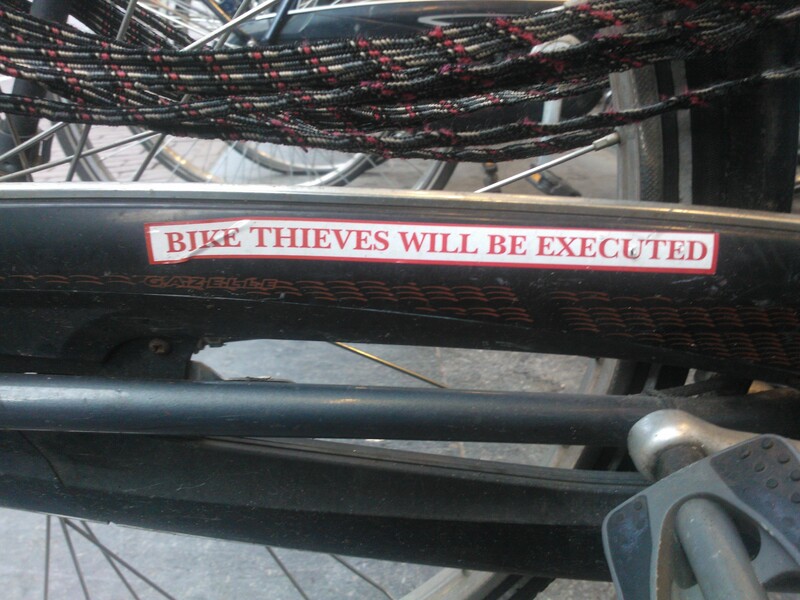 You at least need a spanner to adjust/remove a Dutch seatpost, and although this by no means guarantees its security, it will at least act as a deterrent to any opportunist criminal. 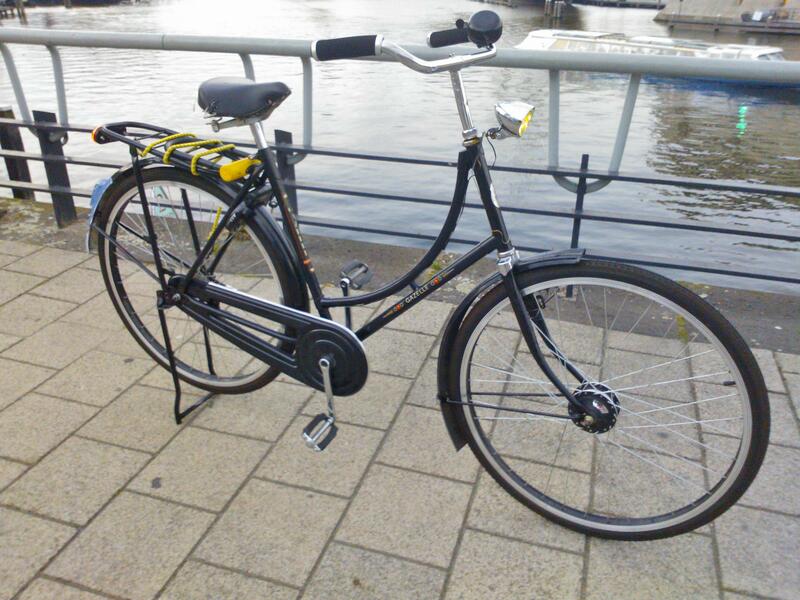 While we’re on the topic of security, Dutch bikes also have a truly brilliant device called a wheel-lock. These locks are conveniently secured to your bike’s frame, and so you never have to worry about carrying them in your bag or leaving them at home. 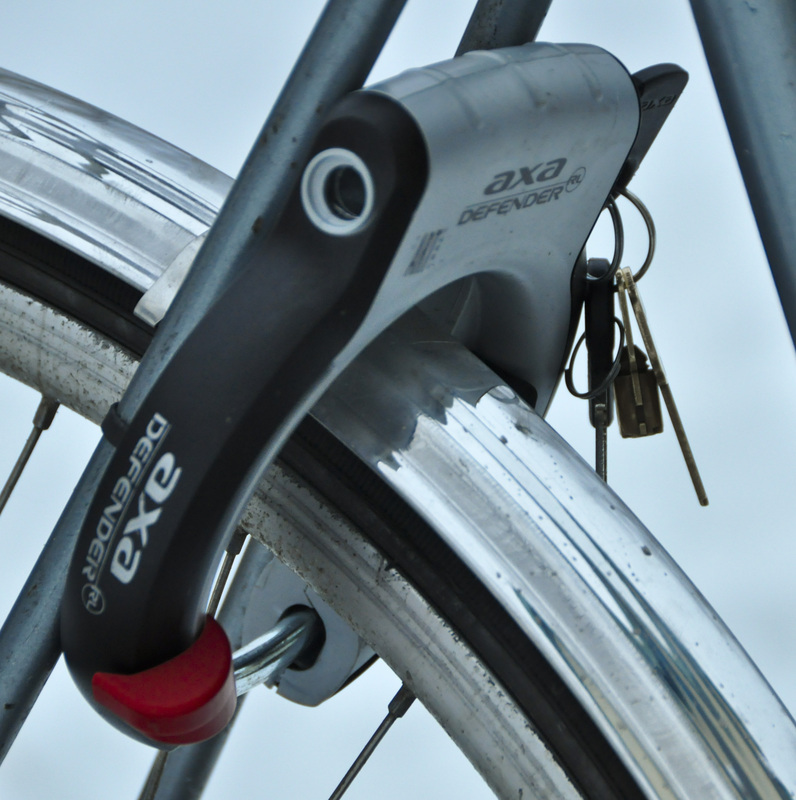 These locks are so tough that many people in The Netherlands don’t feel the need to carry any additional locks, especially if they are just popping to the shops – the sheer weight of a typical Dutch bike means that thieves are discouraged from simply carrying them away. 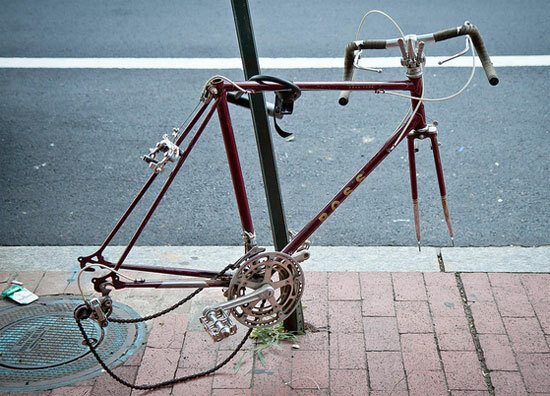 Just like a car, the bike is immobilised until you put the key in the ignition. These locks laugh at even the biggest and baddest bolt-cutters. Speaking of popping to the shops, isn’t it annoying when there are no spaces left in the (often pitifully small) bike rack outside? Well, again, the Dutch have this covered. Bike stands are a standard feature on most bikes in The Netherlands, and the most popular ones are even integrated into the rack. The stand comes as part of the rack and can be folded up and down with ease. The world becomes your oyster as you no longer necessarily need to find a bike rack or lamppost every time you want to nip into a shop. Supreme convenience. Moving on, the issue of weather-proofing is probably the most significant area in which British bikes measure up short alongside their Dutch cousins. Let us first acknowledge the fact that it rains on the planet Earth, and that a disproportionate amount of said rain falls on the UK. The winter months also see a lot of salt and grit on the roads in addition to all of the other contaminants that you might find there. These facts combine to make the notion of exposed drive-trains quite preposterous. Cars don’t have an exposed drivetrain, and this is one reason why they don’t require such regular maintenance. Why should bikes be any different? 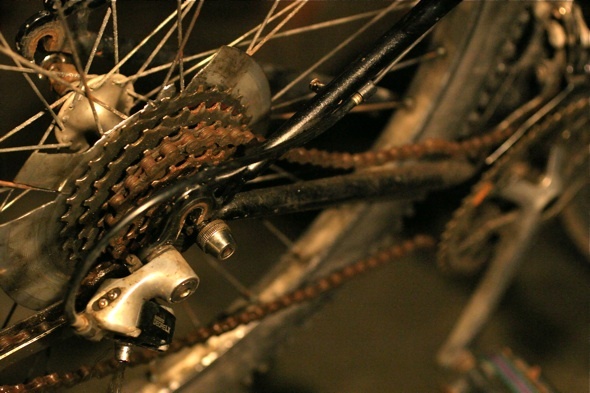 The inevitably rusty chain shown in this photo is all too often the first nail in the coffin for many commuter bikes. Unless of course you enjoy the wretched ritual of cleaning your cassette and de-greasing + re-greasing your chain every week throughout the winter (or the alternative prospect of buying a whole new drive-train every spring) then you might wonder why bikes in the UK still use derailleur gears. The best reason I can think of is simply the range that they offer, which is, admittedly, very substantial. That said, however, sealed hub gears have become a viable alternative in recent years as technologies have improved and prices have dropped. To illustrate what this means from my own experience, you should know that my everyday bike weighs around 25kgs and is ridden around the notoriously hilly city of Edinburgh. 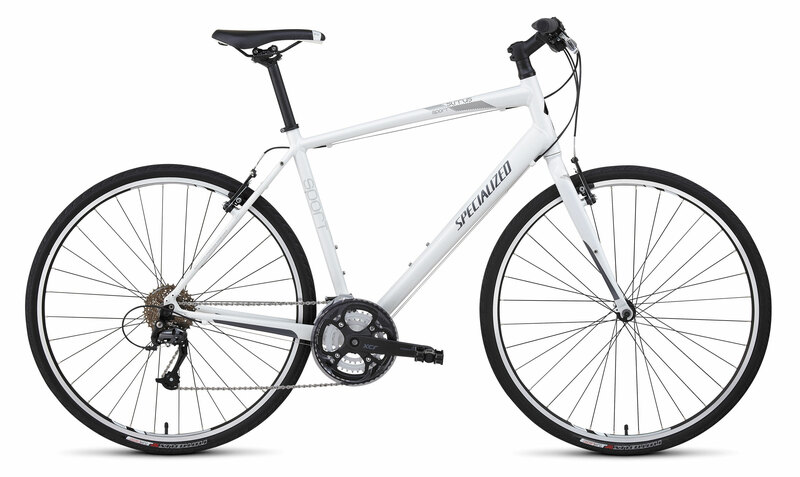 The bike is equipped with Shimano’s brilliant Nexus 8-speed gear hub, which you will notice has the smallest range (308%) of all the gear options on the table. I use the bike to carry shopping, cargo, and even friends around town (we also used it to move house, but that’s another story). The point I’m making here is that the biggest selling point of derailleur gears is invalidated by the sufficiency of the alternatives. Hub gears are also fully sealed from the elements and require much less regular maintenance. In addition to this, hub gears also provide a straight chain-line which means that I can protect my chain with a chaincase. The weatherproofing of Dutch bikes also extends to the fact that their designers acknowledged the fact that you will, at some point, have to ride in the rain. For this reason, simple things like a waterproof saddle and full-length mudguards make the whole experience a lot less harrowing. 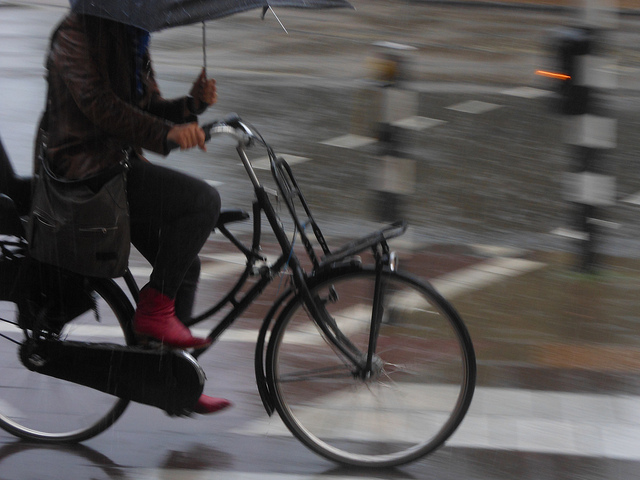 The lower speeds associated with Dutch cycling also mean that riding with an umbrella is not uncommon, and so even though it might be pouring outside, people in The Netherlands can arrive at their destinations miraculously dry and unfazed. (So long as it’s not too windy) I find that cycling in heavy rain is actually more difficult without an umbrella. 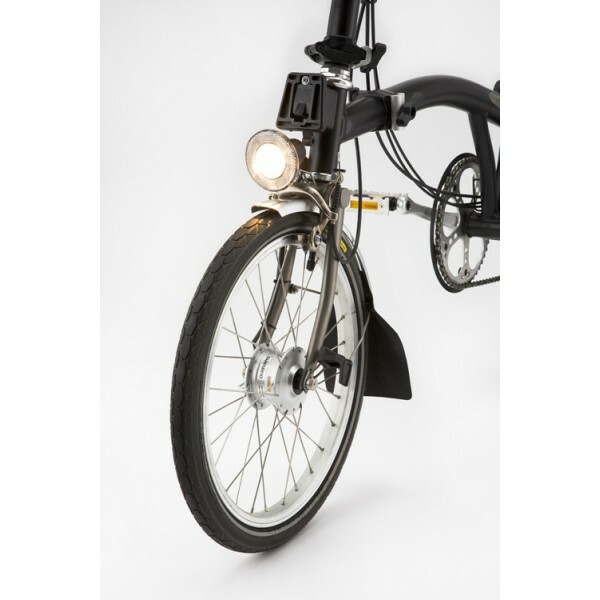 For this, it helps to have your brake lever/hub gear shifter are on the same side of the handle bar so you can operate them with your non-umbrella hand. From the perspective of most British cycling commuters, this is frankly unheard of. It is totally normal for cyclists in the UK to carry a complete change of clothes alongside full waterproofs in case of a sudden downpour. Not only are waterproofs expensive, but it is also a hassle to carry them around and change in and out of them. Carrying these extra clothes also adds a weight penalty to what might have once been lightweight bike, and a time penalty in terms of the time it takes you to change in/out of them. Without going into too much detail, the brakes on Dutch bikes are also protected from the elements by encasing them inside the wheel hubs. This protection ensures that stopping power is consistent whatever the weather/season, and also that braking surfaces don’t get degraded by external contaminants. 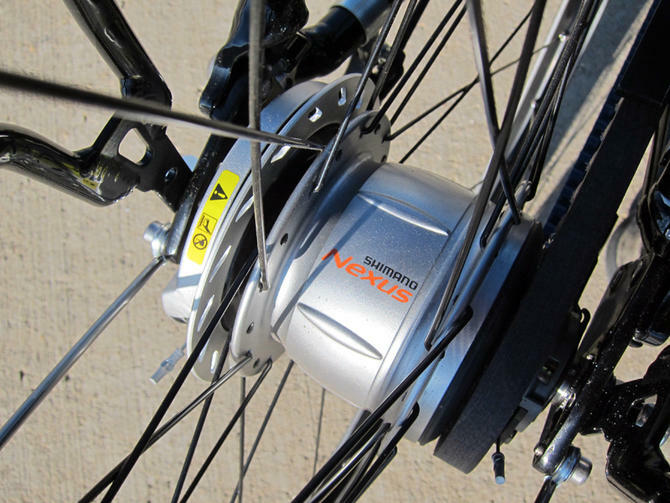 Hub brakes are typically less powerful than disc brakes, but they are much quieter and much less temperamental. The epic cooling-disc on Shimano’s IM81 rollerbrake helps maintain consistent braking. The shiny shiny design also adds an element of modern tech to many classic bikes. Aside from the inclement weather, life in Northern Europe brings with it many months of darkness. Standing in opposition to the blinky, easily-stolen, often-forgotten, battery-operated lights favoured by the British commuter, the Continentals favour a dynamo set-up that is permanently fixed to the bike. Power is generated either by a hub or tyre-driven dynamo to provide an unlimited supply of energy. Capacitors in modern dynamo lights even store up electricity to keep the lights glowing brightly when you stop at traffic lights. My Busch and Muller Retro Classic front light, for instance, stays bright for about 3-4 minutes after I stop, but the Philips Lumiring that I use on the back stays bright for about 5 minutes. The dynamo on this Brompton is encased inside the front hub. 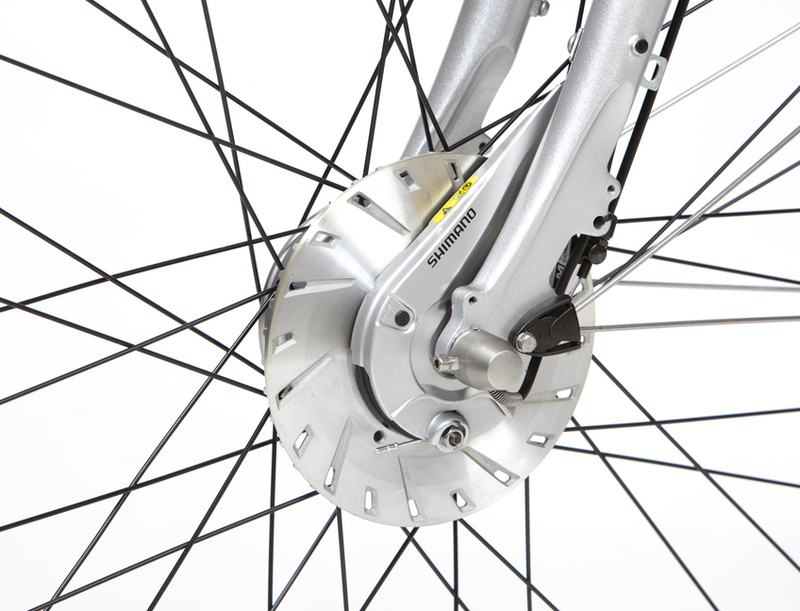 Some hubs contain both a roller brake AND a dynamo – these are the ones to go for. Although there are many other areas in which I could draw out the advantages of Dutch bikes in terms of their suitability for the urban environment, I think that this post has addressed at least the most salient points that I wanted to make. In light of its many adaptations for practical transport in and around the urban environment for the majority of short to mid-distance commuters, I think that the case for more Continental design features is strong. 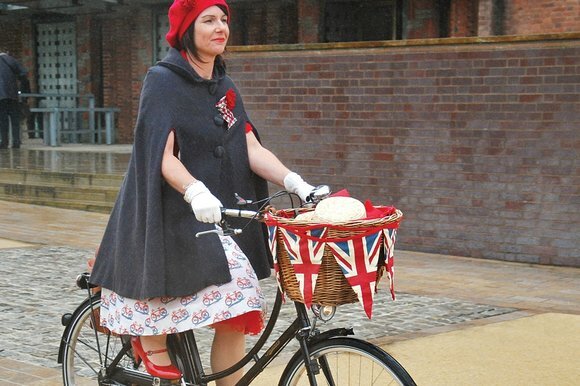 Even if you disagree, there can be no denying that Dutch-style bikes offer something that is missing from the landscape of British cycling, something that could definitely make cycling far more accessible and appealing for many people. The insane durability of these machines is one reason why so many of the bikes you see being ridden in The Netherlands are so old and beaten up – they simply refuse to die. Low-maintenance and as utilitarian as you like, there are many reasons why Dutch bikes can be thought of as cheap and environmentally friendly alternatives to cars for city dwellers. Even the school run is possible by bike, but I’ll devote another post to that soon. Although I haven’t covered all the bases in this post, I hope at least to have shared some of the knowledge and insight that I gained from my year in Amsterdam. More to come soon! 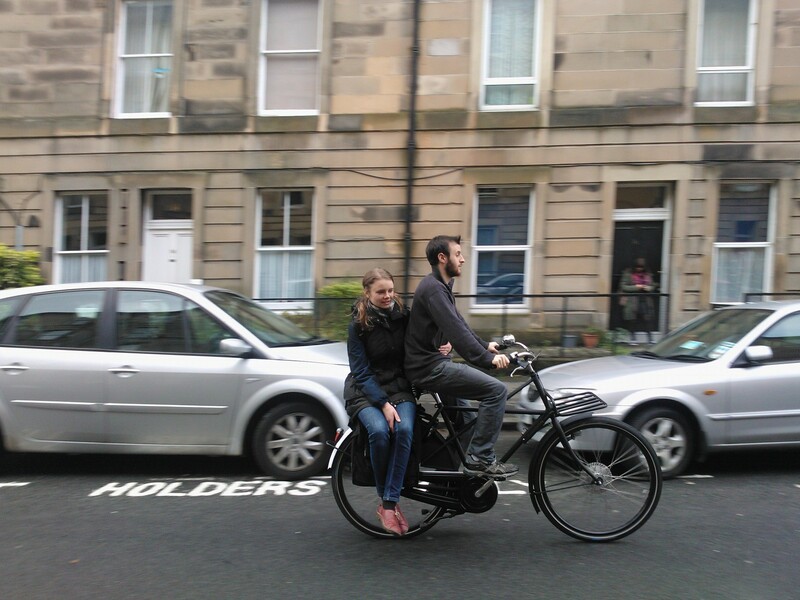 Dutch bikes – an altogether more civilised way of getting around town. 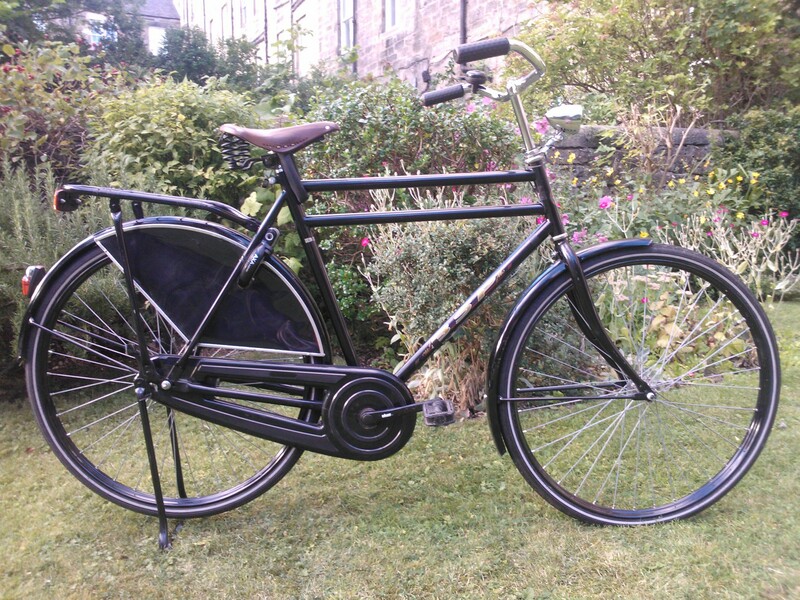 This entry was posted in Alternatives to Cars, Commuting, cycling, Dutch Bikes, Dynamo Lights, Hub Gears, recreation and sports, transport, UK, Utility Bikes, Weatherproofing and tagged Amsterdam, bikes, dutch bikes, hub gears, mudguards, omafiets, Shimano, sram, sturmey archer, the netherlands. Well done! This is a great rundown on the anatomy of a Dutch bike. We are starting to wake up to the benefits of these beautiful and simple machines over here in the US. Although they are not the perfect bike for everyone and every situation, there are loads of people in denser urban areas adopting the Dutch biking lifestyle and making a go at it. Keep up the good work! Cheers Jon! Starting this blog and writing these things down really helped me to get things in perspective. 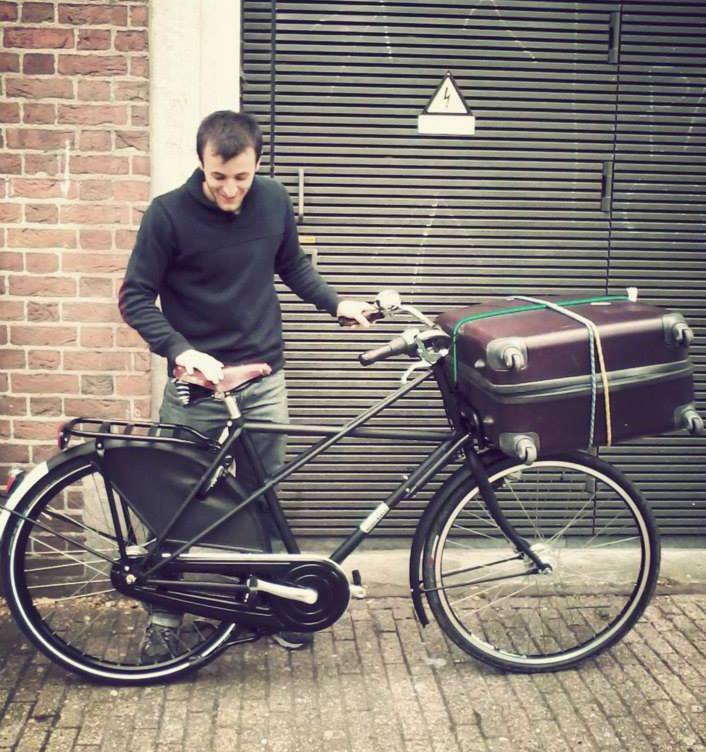 I’ve taken time off from my PhD and am starting a bike business specialising in Dutch bikes (especially cargo bikes). I’ve never had a driving licence and I never intend to get one – if I can live like this (and be totally happy with it) then so could lots of people. I tend to think that we have it pretty tough in the UK, but parts of America are just backward in their approach to bikes. People are coming round though, so bit by bit we’re getting there! If ever you’re in London, look out for Flying Dutchman Bikes (we hope to have a premises soon!). Having just spent a few weeks in the Netherlands and quite a bit of it zipping around on a classic Dutch bike I agree with every word. They are great fun for simple everyday riding and brilliantly practical. Of course it helps that The Netherlands is so flat and so well supplied with cycling infrastructure.